There are two types of blog: words and pictures. 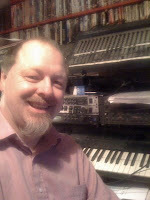 I already have a 'words' blog ( blog.martinruss.com ), and I realized that I needed one which had more pictures, more media, more music, and more synthesis in it. So here it is! Welcome to the Other side.